As a qualified Cheerleading Coach, there are many opportunities available to you and it is important that you take the right steps if you want to be a successful. The first step is to set up your own Cheerleading Club that, ultimately, will provide support and motivation to all involved. This is highly recommended, as it will allow you to put your acquired skills into action and also give a firm foundation for development. Coaches should seek to be aware of developments within the Sport of Cheerleading and are encouraged to seek opportunities for personal development at all times. Remember, the safety of your Cheerleaders should be top priority! Every adult working with young people, or vulnerable adults, should have a valid First Aid certificate. Are you going to run the Club/Squad as a sole trader or elect a Committee before Coaching begins or, will this evolve over time? How many Volunteers will you need and what duties will they fulfil? 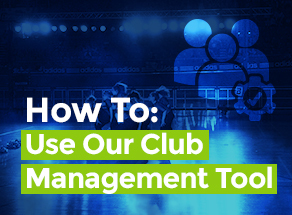 Will you need them to support the general running of the Club or assist with Coaching? Will my Club be successful? Set your payment standards. If you run a rigid system from the beginning, it is more likely to succeed. Area, accessibility, and location are key aspects to consider. The venue should have a good safe working space for the number of participants and the location needs to be accessible to all. Is it safe for all activities (Correct floor covering for Dance – Height for Cheer)? Does it have additional development equipment for Cheer (Mats)? Ensure you complete a risk assessment form for each facility. What about participants for the Club/Squad? Schools are an excellent point of contact for participants. Speak to local schools and arrange taster sessions within school P.E. time or, as part of after-school activities. By printing information leaflets and distributing to local schools, this should produce an interest and buzz about your Cheerleading Club/Squad and attendance should be high. Participants will not attend if they are not aware of the activity you provide. Flyers should be vibrant and eye-catching, and contain all the necessary information. For example: your contact details, name, phone number, email address, your qualifications, the Club venue, the day and times and a little information about what Cheerleading is. Additionally, contact local press to help publicise your Club/Squad. With a pre-existing squad, taking part in and distributing leaflets at local events and festivals is a way to refresh your squad numbers and keep the committed students focused. It gives the students a ‘taste’ of what they should expect if they attend your classes. The content is very important. You should always make your taster sessions enjoyable. Participants should not be bombarded with too much information, just provide them with enough to get their interest and they will be eager to return and learn more. These are available at stationary stores and must be kept up to date at all times. Insurers will require you to have an accident book, as it will provide proof of the incident in the event of a claim being made. Parents and participants need to be kept informed of developments and future opportunities available to them. It is important to provide regular, clear communication. Footwear is extremely important so, spend a little time researching suitable and affordable shoes for the discipline being delivered. The Coach has a responsibility to make Cheerleading FUN, EDUCATIONAL and most importantly, SAFE! If you arrive late to training, there is no incentive for them to arrive on time. If you look scruffy, they will have nothing to aspire to. Your attitude will have a big influence on the motivation of your squad. If you show favouritism, only the favourites will work for you. Ask any Coach and they will tell you how true this statement is! What is the goal for your team this year? What is your own personal goal within that team? If you can answer these questions, you can begin to formulate a plan to achieve these aims. Before each training session, a Coach will have prepared a lesson plan, which is one piece of the jig-saw that will ultimately fit together to achieve the Coach’s goal. Cheerleaders should be encouraged to develop in the same way as Coaches. UKCA has a Coach Education Pathway that will develop Coaching technique, as well as more generic skills that are applicable to everyday life. Uniform means everyone wears the same. Being neat tidy and well presented could earn you points for appearance in competition. Uniformity is key and attention to detail important. Clothing should be neither oversized nor clingy, but fit well and look freshly pressed. Select materials that will stand repeated usage and cleaning without losing shape or colour. Shoes need to be suitable for the activity and performing surface, and all look the same. Check laces are properly tied with ends tucked away. Always respect and support Competition Officials. Do not indulge in conduct that would incite Players, Spectators, or other Cheerleaders against the Officials.